A perfect external battery charger with three outputs and two inputs! The Baseus PD+QC3.0 power bank is packed with huge 20000mAh of battery capacity, which is more than enough for a few fast recharges of your devices on-the-go. 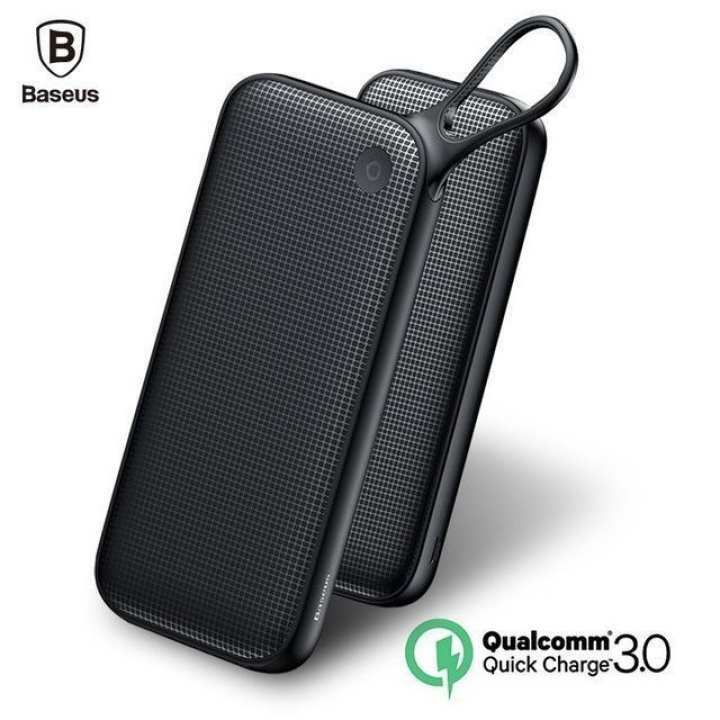 The Baseus 20000mAh power bank is designed with a new USB Type-C PD (Power Delivery) and Qualcomm Quick Charge 3.0 technologies to provide fast charging for almost any device, even for MacBook or Huawei MateBook with a USB-C interface. Both USB ports support QC3.0 technology while the USB-C port supports PD technology. The Baseus power bank automatically recognizes and allocates the required power. The Baseus 18W USB Type-C power bank features a very compact and portable design because it has an integrated hook for easier carrying. Its most important characteristic is the battery capacity and power - you will always have extra power for your devices wherever you go. Isn't only important to quickly recharge your devices - their security is also equally important. Thanks to multiple protection systems, the Baseus power bank offers reliable charging for your devices and is completely safe for use. It provides over-current, over-charge, over-discharge, over-voltage, overpower, overheating, short-circuit, and electromagnetic field protection. ye power bank original h?